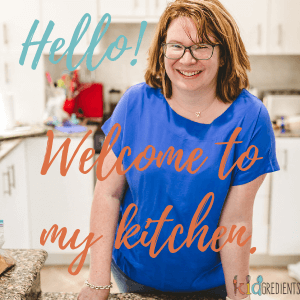 You are here: Home / life / Want to SEE my back to school checklist? Want to SEE my back to school checklist? This post is sponsored by ProVision Optometrists. When it comes to back to school, there is the standard list of school supplies, uniform and lunchboxes, but there is something super important that even the most organised of us forget- getting the kids eyes checked! As an ex teacher, I understand the important correlation between eye health and school performance more than most. And, as someone who has worn glasses since the age of ten, I know how important it is to be able to see correctly. Let’s just say: I don’t wear my specs for fashion! So why do we need to start making an eye test part of our back to school routine? 1 in 5 children have an undetected vision problem that can interfere with their ability to learn and absorb information. Children often assume their vision is just like everyone else’s, which is why vision problems can easily go undetected. Back to school is the perfect time to iron out any problems (and uniforms!) that might pop up at school. Obviously, as parents we are all about making sure kids get the most out of their education, so we want to make sure they are fully equipped with everything they need, the books, the pencils, the glue sticks…and the opportunity to have the best possible vision that they can. I know as a kid, I didn’t realise that I wasn’t seeing things in the classroom the same way as everyone else. I remember squinting, from the back of the classroom before I got my glasses, but I don’t really remember telling my parents that I was struggling with it. I do however remember the first time we went out the door of the optometrists and saying: “Oh my goodness! I can see all the leaves on the trees!” and my Mum said “What? You couldn’t see them before”? Most of what goes on in the classroom is vision based, whether it is reading from the electronic whiteboard, copying handwriting in books or doing maths, kids need their vision to be spot on to achieve well. Even things as simple as recognising expressions on the teacher’s face rely on vision. My kids have been having their eyes tested since they were about three, due to family history and also because it has just been a thing we do. Even if you have had the 4-year-old eye check, it is worth following up with your local optometrist. I have found on a personal level, that they have had a much wider range of materials for testing kids, which helps to find any problems. ProVision is the largest network of independent optometrists in Australia, with over 450 optometrists, meaning there is probably one right near you. They are all locally owned by the optometrists who run them and have high standards of clinical excellence, continuity of care. They offer the personalised service and quality products that your kids deserve and make sure that your care comes first. If you want to read more about common vision problems in school kids, check out this awesome article. I’ve popped together a back to school checklist to get you back to school ready. Just click the image below to download it. Book your back to school eye check with your local ProVision Optometrist today.